Recently Google has been introducing several new features and changes in the Google Play Store. 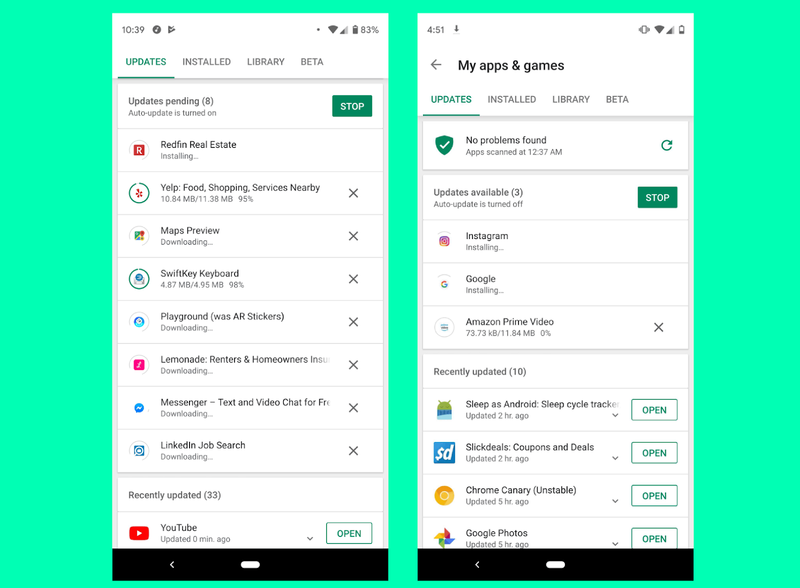 To continue this, Google Play store has some new feature which for now will be tested with few users only, as allowing to download updates of multiple apps simultaneously. About a week ago, Google Play had been testing to download many apps or downloading updates at one time through Play Store. Many users have spotted this testing, which appears to be rolled out to more users than usual for an A/B test. Instead of queuing, the Play Store will download updates of many apps side by side. Another server-side update is being tested in which users will be able to browse and buy TV shows based on the network they are on-aired. In the latest version of Play Store, a feature hidden under much taps of Play Store version number, “Internal App Sharing” is also enabled, which is usually disabled by default.